This Engine Yard technology stack is specifically for the Engine Yard Gentoo 2009 OS distribution and applies to languages supported in the Engine Yard Cloud UI. Each component in the stack has been customized and optimized over thousands of developer hours by engineers at Engine Yard; our engineers include leading Ruby on Rails and PHP contributors, expert cluster engineers, and seasoned DBAs for web server performance, database efficiency, and long-term scalability. We meticulously test and fully integrate each new component and component update to provide reliability, security, and compatibility within the stack. You can confidently deploy and manage your application with any Engine Yard product. Read about the many benefits of using our Platform as a Service. Engine Yard also provides add-on services to extend your environments and apps. Engine Yard add-ons include more stack and database options like MongoDB. The versions listed below are the current-state. We will continually update this list with the latest verified versions. In the table below, Early Access versions appear in yellow. Limited Access versions in red. For more information, see Engine Yard Early Access. Ruby 2.0.x and greater is supported on the Engine Yard Gentoo 12.11 Tech Stack. Ruby 1.9.2 has been deprecated per the community. Ruby 1.8.7 is End of Life (EOL) per the community. 1.9.1 is not supported; 1.9.3 is recommended. 0.8.26 by default for this stack; package.json respects both versions. Note that the Node.js security vulnerability fix (CVE-2013-4450) has not been applied to 0.6; we recommend upgrading to at least 0.8.17, which has been patched for CVE-2013-4450. PHP is supported on the Engine Yard Gentoo 12.11 Tech Stack. You can view our deployed phpinfo app for full stack details. Used as a load balancer. Version 1.0.15 or greater is recommended because it addresses security bugs. Version 1.2.9 has been patched to address the CVE-2013-4547 vulnerability. Passenger is bundled into Nginx web server and is recommended for multi-app environments. Passenger 3 works with Nginx 1.2.9. For information on Nginx 1.4.x support, see the Engine Yard Gentoo 12.11 Tech Stack. Avoid all versions prior to the point releases listed here due to security issues. See the related security updates for more information. For information on Passenger 4 support, see the Engine Yard Gentoo 12.11 Tech Stack. Recommended unless you have multiple apps in an environment. MySQL (Percona Server) 5.6.22 or greater is the recommended MySQL on this tech stack. Some UNIX packages are not linked against MySQL 5.5.x on this tech stack. MySQL 5.5.x is supported (and recommended) on the Engine Yard Gentoo 12.11 Tech Stack. For Engine Yard on Terremark, specific other versions of each major build are available. PostgreSQL 9.3.x is the default database. Versions 9.2.4, 9.1.9, and 9.0.13 (and greater) address the security issue announced by the PostgreSQL Global Developer Group. Versions 9.0.x and 8.3.x have been deprecated per the community. Riak is supported (and recommended) on the Engine Yard Gentoo 12.11 Tech Stack. Engine Yard Gentoo (stable-v2, the tech stack described on this page) is the legacy Gentoo-based stack. Engine Yard Gentoo 12.11 (stable-v4) is the new distribution. For the Engine Yard Gentoo 12.11 tech stack, see Engine Yard Gentoo 12.11 Tech Stack. Rails 4.x requires Ruby 1.9.x or greater. Deprecating 2.3.x (requires manual patching). See the related security updates for more information. A minimum of 2.3.17 is recommended if you cannot upgrade yet to 3.2.x or greater. Important: All 3.0 versions of Rails contain a major security vulnerability. If you are running Rails 3.0.x we urge you to upgrade to a newer release that contains the security update. Version 2.x requires the daemon gem. Version 3.x does not. 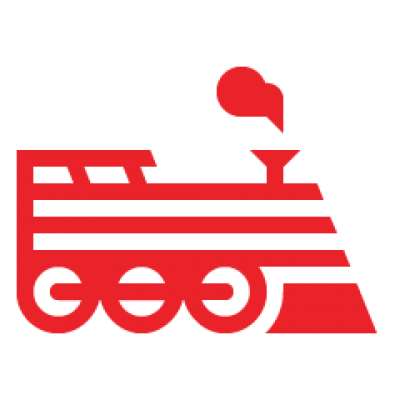 * Engine Yard compatibility with Sidekiq matches Sidekiq's compatibility with Ruby runtimes. Last but not least, Chef v10 is used for configuration management. The table above is not exhaustive, but covers the essential components of the Engine Yard Gentoo 2009 technology stack and compatible components. We install other commonly used components, such as Solr, upon request; however these are not covered by Engine Yard support plans, nor does the Engine Yard SLA apply when these components are used. For more information, see Engine Yard Technology Stack Update Policies.